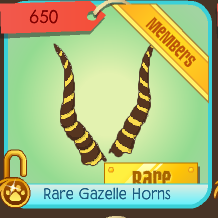 Today the Rare item was Rare Gazelle Horns.They only came in one color, brown with yellow stripes. 5th page of the Jan Mart Clothling. What do you think of rare version beta items, and what do you think will come out next? Last we noticed, me and gingerpawz noticed hide's purple beta non member wings were stolen. What do you think happened to his wings? Can someone get me a spell check on realieased? 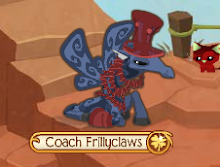 I can't seem to find a spell check for it :< lol. It's BeautifulBlackWolf, and I saw your comment on my blog, and I think your blog is great! So your spell check for realieased, is spelled, released. There you go! 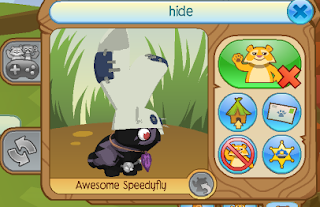 Thanks for commenting to Animal Jam Parks!